The new JL-2 (CSS-NX-4) SLBMs will carry either 3 or 4 MIRV (90kT each) or a single warhead with a yield of 250-1000 kT over a range of 8,000km. The missile is the sea-based variant of the DF-31 land-mobile long-range missile. 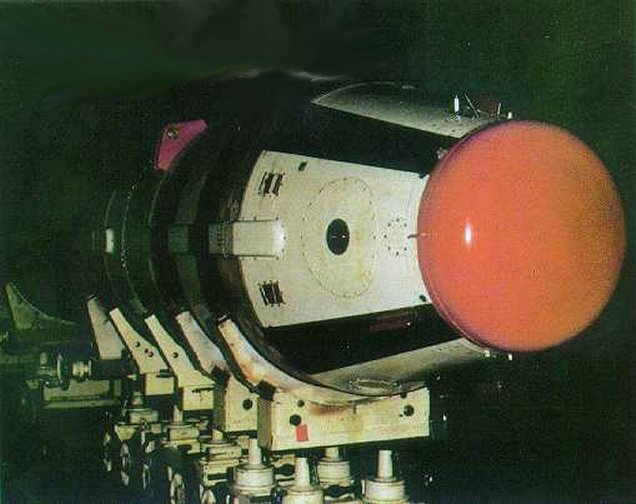 Development of these missiles was accelerated following the successful test of their common 2m-diameter solid rocket motor in late 1983. The missile is apparently comparable in size and performance to the American TRIDENT C-4 long-range multiple-warhead three-stage solid fuel missile missile that is launched from submerged submarines. The prospects for the deployment of this missile remain obscure, given the protracted development effort of the associated DF-31, the initial deployment of which has slipped from 1998 to around 2003. Also worthy of note is the evident absence of public reports of the start of construction of the Type 094 submarine that would be needed for the JL-2 missile. Construction of this submarine would constitute a leading indicator for the JL-2's deployment schedule, since several years would be required for submarine construction, and probably an additional year or two for shake-down trials of the submarine, and testing of the JL-2 from the submarine.